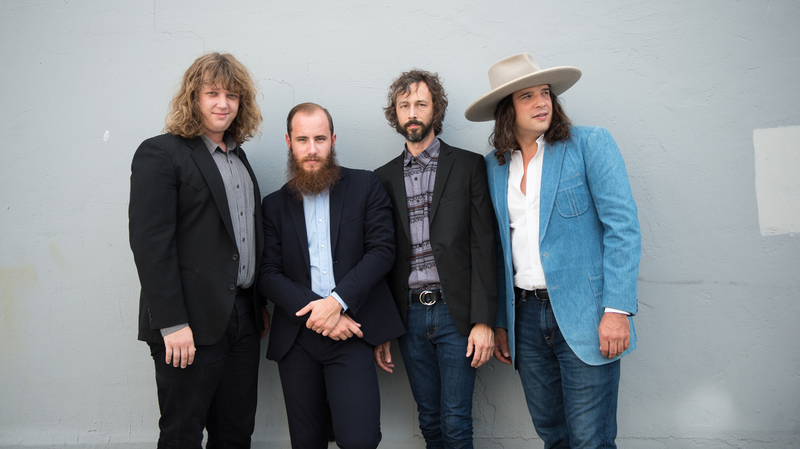 Hear The Sweet Harmonies Of Cordovas' 'I'm The One Who Needs You Tonight' The country-rock band is committed to the sound of brotherhood — a few voices sharing a feeling. Nowhere is that clearer than on this tender ballad. 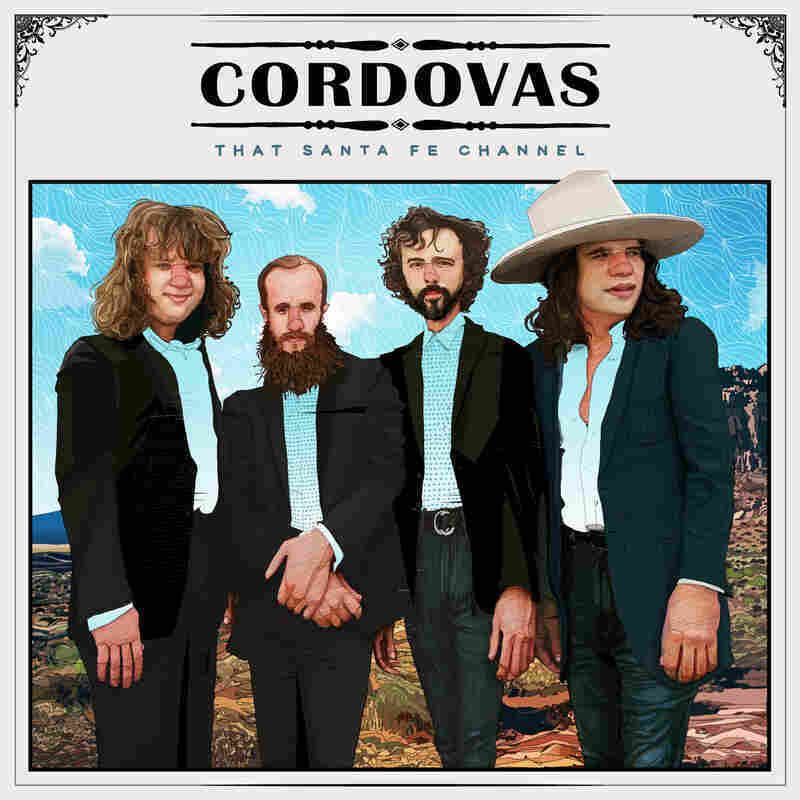 Everyone in the East Nashville band Cordovas is a lead vocalist. The country-rock group is committed to the sound of brotherhood — a few voices sharing a feeling. Nowhere is that clearer than on the tender ballad "I'm The One Who Needs You Tonight," off the band's upcoming record That Santa Fe Channel. "I'm The One Who Needs You Tonight" is striking in its simplicity. The songwriting and production would be at home on Jackson Browne's Late For The Sky, and, like Browne, the band ably splits the difference between a Western ease and a Southern twang. The song sounds practically unproduced by contemporary standards — the quiet, articulated drums sit at the back of the mix in a steady groove with band founder Joe Firstman's bass, a dry pedal steel and a roomy piano. The front of the mix is the province of three of Cordovas' four members, locked into a tight harmony for almost the whole song. Kenneth Pattengale, of The Milk Carton Kids, produced the album with an intentional spareness. There is no hiding on this arrangement; it is boldly unadorned and, at under three minutes, bracingly direct. More than any tape machine could, this mix and the aesthetic priorities it telegraphs situate the band squarely in 1970s Southern rock. For his part, Firstman always has. When he was a child in North Carolina, Firstman's family car had a tape stuck in its machine. One of Patsy Cline's greatest hits collections would play every time he, his mother and his two brothers drove anywhere. It drove his brothers crazy, but not Firstman. "My mom and I could pick out thirds and fifths and could harmonize," he says. "She could tell me why it was so devastating or beautiful. She could point to the little bit of vibrato at the end of the line and say, 'Listen, did you hear that little thing she did?' or she could do it and I could hear her do it and match it up." Firstman has had a winding musical career since those days. His path has led him from the Carolinas to an ill-fated deal at Atlantic in the early 2000s to a job as music director on Last Call With Carson Daly to a musical home base in the surf town of Todos Santos in Mexico, the country where much of the band's upcoming record was written. Cordovas is the product of that storied life. The start of this record, though, can be pinpointed to "I'm The One Who Needs You Tonight" — the song Firstman heard in its nascent form when guitarist Lucca Soria played an opening set on tour with him in the years before he was in the band, reworked with him in Mexico last year and tracked first for their upcoming album. "We've played that song more than any song," Firstman says. "That was our template. That's the one we sound check with." The track exudes that familiarity. "I'm The One Who Needs You Tonight" is disarming in its ease and its sincere faithfulness to that spirit — another yearning love song, happily stuck in the tape player.